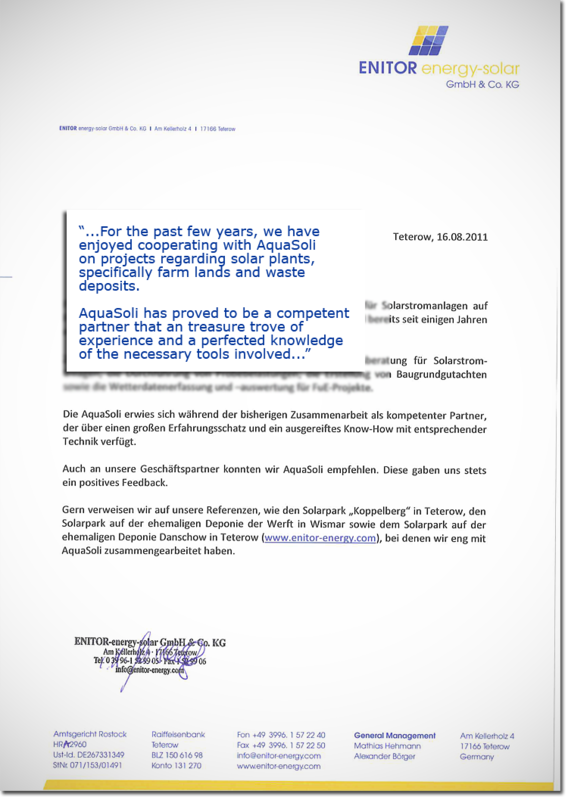 We as Hilti are in close contact with our external Partner AquaSoli GmbH & CO. KG. We recommend Aquasoli to our customers for geotechnical surveys and applied load tests for building up photovoltaic power plants. Our customers commission directly Aquasoli. We are satisfied with the execution of the work as well as the competence and diligence of Aquasoli and so are our customers. If there is a geotech consultant team I trust and that has nearly one decade of engineering experience with driven and screwed mini pile foundations – AquaSoli is....!